Don’t believe on those advertisements about beard vitamins that help to increase facial hair in persons with no beard! Most of them are telling fairytale! Here is the most exact statement from me about beard vitamins to your facial health – they can’t change the image of a guy with no facial hair into a true beard-man. BUT, if you are a guy with less facial hair and do want to thicken them to be fuller and longer quickly, chances this product can help! What exactly is beard vitamin? A beard vitamin is a vitamin that has been designed specifically to focus on the health of your body to optimize the growth of a beard. So, if you are eating a very well-balanced diet, you’re taking all nutrition in and living a healthy lifestyle, taking extra beard vitamins won’t give you much difference. HOWEVER, if you are not living in such standard lifestyle, the more results you will see. I mean, vitamins for beard are truly and only essential for those who live busy and unhealthy lifestyle that your daily diet can’t provide enough crucial nutrition to your body as well as your beard. Beard vitamins are designed specifically to grow for your beard. What’s going to happen if you take a multivitamin, a biotin and fish oil or build your own soup, there’s not going to be a big difference, in my opinion. However, multivitamins usually come in higher price range because of their “multi” term. So, if you just want to boost your beard grow healthier and faster, why not choose a beard vitamin instead? Not all vitamins are created the same, believe it or now. Some of the ingredients that they use to create a vitamin, we’ll be taken into the body at different percentages. From that point, one with cheaper ingredients may only be absorbed by your body at a 25% rate versus a 75% rate. Now, you might see a 100% of daily value in there but only 25% of them is going to be absorbed. Keep that in mind and pay attention to its ingredients before drop your money on that product. Obviously, the higher-quality ingredients will lead to its pricier tag. However, I don’t mean that all more expensive beard vitamins will give you higher effects on your hair growth. It’s better to buy a product from well-known brands or they provide good guarantee, after considering carefully their ingredients. 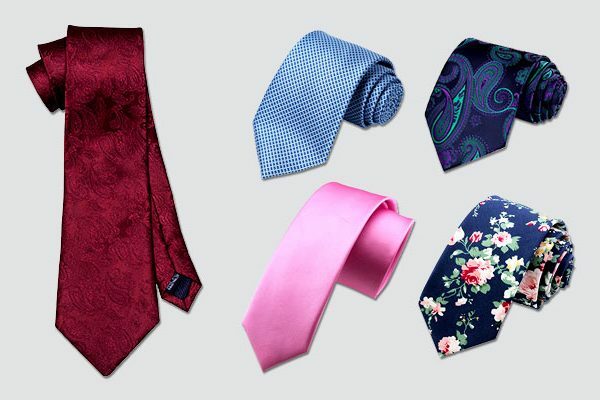 Besides, there are still some brands come in perfect compromise of quality and price, which I have also included in the collection below so, if you are in a tight budget at the present, don’t miss out. Don’t expect any kind of miracle growth with this, it’s just a supplement for your malnutrition. Highly recommend for those guys who have thin beards! There are a large number of beard vitamins; however, I found this effectively. This beard vitamin is known as a magical one with a superior and unique formulation. It not only helps to treat the hair loss, but also promote the thick and masculine beard in only 2 weeks. When you get older, your beard can be loss and brittle easily. To prevent this situation, you should provide enough necessary nutrients. Or even when you are young, beard vitamins are still useful to help you have a shiny and smooth beard. Furthermore, they can support your beard to grow faster. The Vimulti beard growth and hair loss treatment consists of many vitamins, minerals such as: Vitamins C, Zinc, vitamins E, selenium and vitamins B (consisting of the very important biotin). 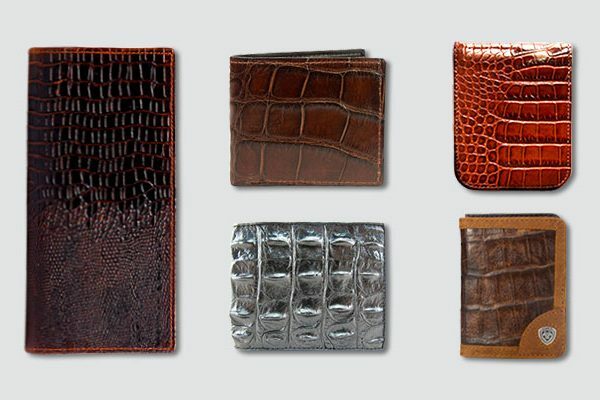 These substances work more effectively than any other covered bases. Vitamin B is responsible for maintaining the testosterone levels, which affect the hair growth. Vitamin B include high biotin which is the most important micronutrient to make your beard thicker. Vitamin C is antioxidant to protect your facial hairs from being loss due to stress. I had to learn about this vitamin a lot before buying and I experienced it. I was totally satisfied with what it brought to me. My beard was improved much and there was no beard loss. This is a safe product without any side effects. Especially, it is easy to swallow. I did not feel uncomfortable when taking it. This vitamin works quickly and we can see the difference in a very short time. However, I do not like its smell because the pills smell bad. With the regardless of this vitamin is a should – have one. The next beard growth vitamins are Grizzly Adam. 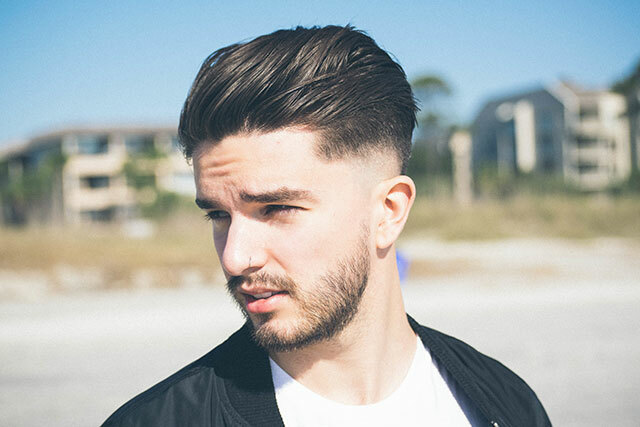 If you want to find out a growth supplement which can be used for both hair and beard, you should add it into your collection. This beard growth supplement can stop your worry about baldness. Furthermore, it nourishes your beard deeply to leave you a healthy beard. Your beard will become much softer than ever. This beard growth supplement is rich in Biotin, which is very beneficial for your beard growth, as I mentioned above. The B – complex vitamin is called Biotin. This substance is useful for preventing the hair loss. 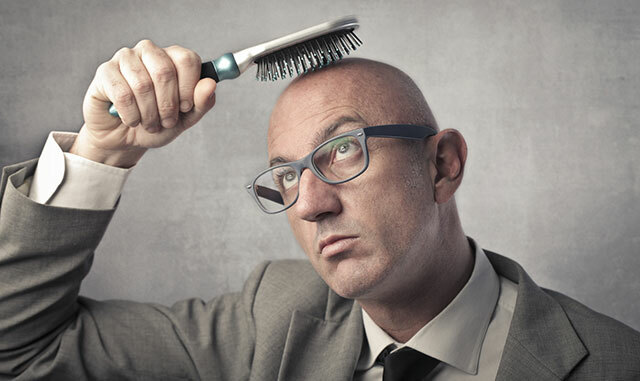 If you take the use of product including high Biotin, then there is no need to worry about the hair loss. In my point of view, hair loss prevention is the most outstanding function of this beard growth supplement. Besides, I saw some other functions like boosting the hair growth rate, or restoring the shine, density and elasticity of your hair. Apart from the B – complex Vitamins, Grizzly Adam contains Zinc, Vitamin B2, Copper, and Vitamin C. The contained Zinc will contribute to stimulate your beard growth, while other ingredients will be responsible for making your beard stronger and healthier. All the ingredients of these vitamins are natural and high quality, so you can feel free to use. Although this beard growth supplement did not promote my beard growth as fast as the above ones, the health of my facial hairs is improved significantly. It is less brittle as before and shinier. For all bearded men, the best thing is to have a thick, full and healthy beard. However, it is not as easy as we think. I have tried several vitamins before choosing this one. Personally, I think the Beard King vitamins met my requirements. This beard vitamin comes with the mixture between the vitamins and the nutrients that we need to maximize the rate of facial hair growth. Like shaking the muscles with a protein, we need to provide the proper nutrients to grow our beard. The main reason for the patchiness is the nutrient deficiency. If your beard lacks nutrients, and then your beard will not be fulfilled. It is very difficult to achieve the balance diet to provide all nutrients for your beard from foods only. However, with Beard King vitamins, your beard will be supplied all vital nutrients which need for your beard follicles and the new beard will grow. The same as the above vitamins, Beard King vitamins can strengthen our brittle beard, nourish and hydrate it. Our beard and skin will look more youthful and smooth. 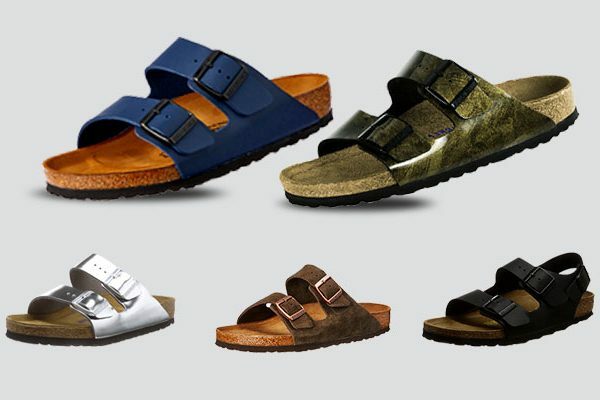 In addition, they can help to eliminate the dandruff and itching. Your facial hairs will be completely changed after 60 days of using. 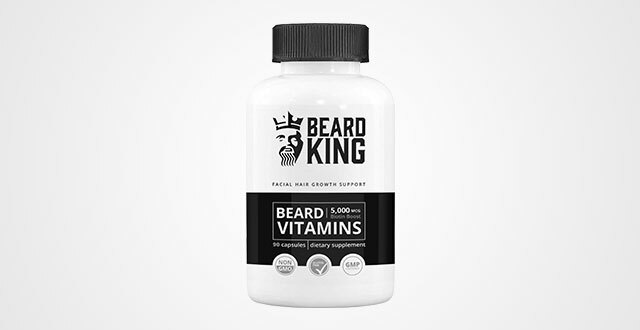 The Beard King vitamins include the finest ingredients as Vitamin B, A, C, gluten free, Non-gmo and Vegan. The included biotin is 2 times more than others. The vitamin B or biotin is helpful for the cell growth to thicken your beard and make it longer. It also supports the overall health of your beard and protect it from breaking. The only problem of these vitamins is the time, so you need to be patient. Some men are not patient enough to wait for about 60 days to see the differences of their beard. These vitamins change our beard step by step. Surely, its results will not disappoint you, but satisfy. Beard Club vitamins are the vitamins for facial hair growth. I love the Beard Club and I use many their products like beard oil, beard wash and now, it’s time for the beard vitamins. I used them for a couple of weeks and they worked well. 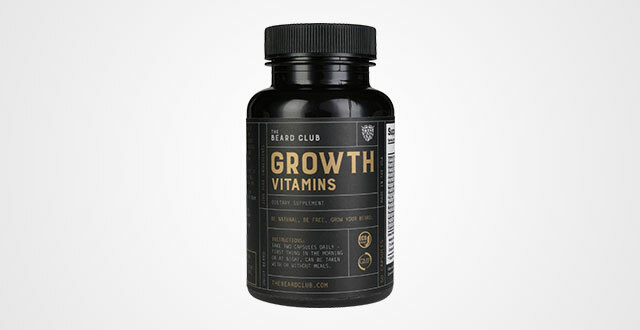 The Beard Club’s growth vitamins promote my healthy facial hair grow faster by providing all vital ingredients. These beard vitamins are multifunctional. Firstly, it can help fill the patches. I was so tired of the patchiness; however, the Beard Club’s product puts an end to my worry. These beard vitamins supply both proteins and minerals for the hair follicles. Then, we will achieve a thick and full beard as we expect. Secondly, they will minimize the beard itch. These vitamins will hydrate and soften your skin at the same time, so you will no longer feel itchy. Besides, they also deal with the beard irritation. The Beard Club’s vitamins consist of all important nutrients for the bearded men such as Vitamin D, and Zinc, which are beneficial for our body, too. These natural vitamins have positive effects on the growth of your nails, hair, and skin. If you have good habits and combine with these beard vitamins, I’m sure that you will have a strong and full beard. These beard vitamins absolutely work great and the differences will definitely amaze you. The scent is fantastic and they help to moisturize our skin. However, to filling in the patches, it takes time. 5. Beard Grow XL / Facial Hair Supplement / #1 Men Hair Growth Vitamins / For thicker and Fuller beard. 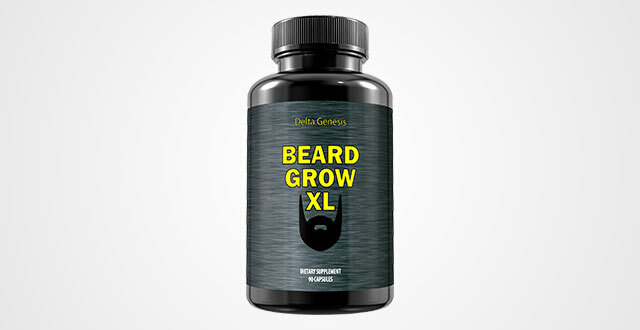 Another recommendation for you is Beard Grow XL facial hair supplement. These vitamins are considered as the best vitamins for beard growth. This beard supplement is used for growing the beard faster and thicken your facial hair. You will see the differences in a very short time. They will bring you a good looking and masculine beard. Furthermore, they will make a revolution for your beard from inside. Moreover, the Beard Growth XL can be suitable for all kinds of hair types, such as mustache, chin or neck, and side burn facial hair. The Beard Growth XL consists of a bevy of vitamins B to improve the hair growth. The contained Biotin and B12 will tackle the vitamin deficiencies which cause the hair loss. Compared to other vitamins, the XL’s product is more special a little bit because it has horsetail extract, saw palmetto and MSM. The horsetail extract is a kind of herb which is an effective treatment for fluid retention. Besides, it also improves the hair and fingernail growth’s quality. The next thing is MSM, which stands for Methylsulfonylmethane. It has many applications like fighting allergies and inflammation. 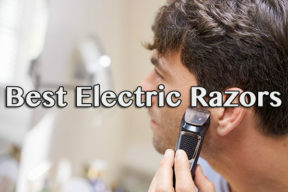 Aside with these functions, it makes a great contribution to reduce hair loss. The last ingredient I want to mention here is the saw palmetto. This is a kind of fruit and used to combat many conditions. Its most important function is to thicken your hair and provide a healthy look. 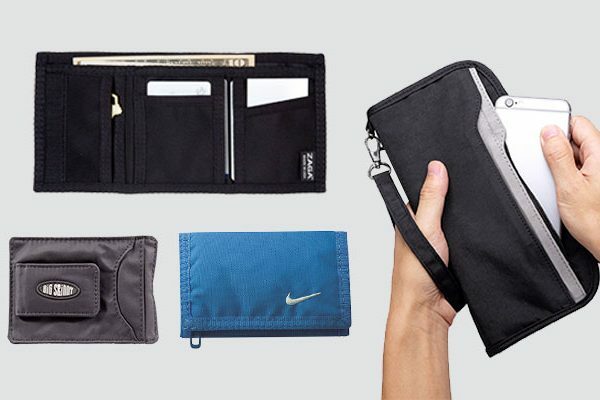 This product exceeds my expectation. It brings so many benefits that I have never thought. However, it will be perfect, if it can fill in the patches quickly. My beard grows faster, but I have to wait for a long time to have a fuller beard. 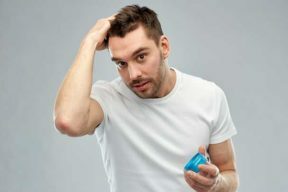 If you are looking for a beard supplement that can support your healthier and fuller beard, this beard supplement is exactly all what you need. 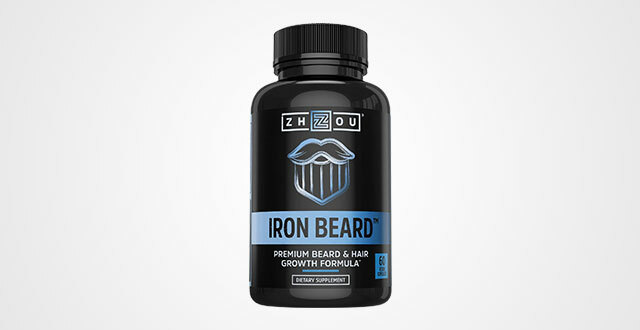 The IRON BEARD is a reputable brand with a lot of effective products and the beard supplement is no exception. 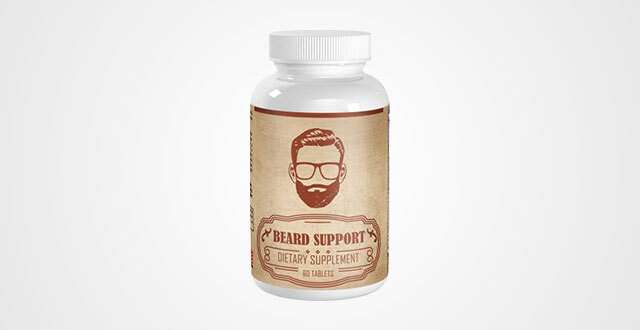 This beard supplement will deal with the beard issues and nutrient deficiency from the root. There are many reasons why your beard is brittle and panches. One of the most common reasons is the nutrient deficiency. The Iron Beard vitamins are formulated with 18 necessary vitamins, herbs, proteins, and minerals to provide enough nutrients for your beard. Especially, these vitamins suit all kinds of hair types such as: coarse, thick or thin, fine, straight or curly. When your beard has enough nutrients, the wild beard will be tamed to become a shiny beard. I saw the differences day by day when I use these vitamins. Besides, the Iron Beard vitamins can nourish our beard by strengthening and hydrating it. They made my skin look younger and brighter. The key ingredients of these vitamins are Biotin, Collagen, MSM, Vitamin A, Vitamin B12, Vitamin A, Folic Acid, and Iron beard herbal complex as: FO-TI powder, saw palmetto, nettle, and pumpkin seed. These ingredients were combined to support the development of the overall healthy beard. However, it is quite difficult to take them because of their smell. By any way, you should give them a try and enjoy the awesome changes. 7. Beard Growth, Facial Hair Growth for Men, Supplements for Men, Beard Vitamins, Growth Pills, Thickener, VIRILITAS / Best for Patchy Beard. I highly appreciate these vitamins to make hair grow faster and thicker due to their performance and I was impressed by their ingredients. The same as the other vitamins, the Virilitas’s product also fuels the vital nutrients that our body lack to maximize the beard growth. Besides, they also support the beard to be healthier. I got a big improvement after using them. My beard and hair were thickened a lot. And now, I’m always confident with my beard because it looks great. The Virilitas vitamins provide nutrients to make my beard become fuller, longer and stronger in a very short time. Now, I can style my beard without worrying about being brittle or dry. There are many ingredients included in these vitamins. They have Beta Carotene which can protect our skin from being dry as well as create a healthy environment for beard growth. Aside with this, they contain Folic Acid which can make a great contribution to the health of both skin and facial hair. The contained Cysteine is used to support the strength of our hair. Additionally, they have Shilajit which is important to the hair growth. It has positive effects on our body and fight aging sign to prevent our beard from being loss. These vitamins definitely work, but you should check with your doctor before using because they consist of many ingredients, so you need to make sure that you are not allergic to any contained ingredients. 8. 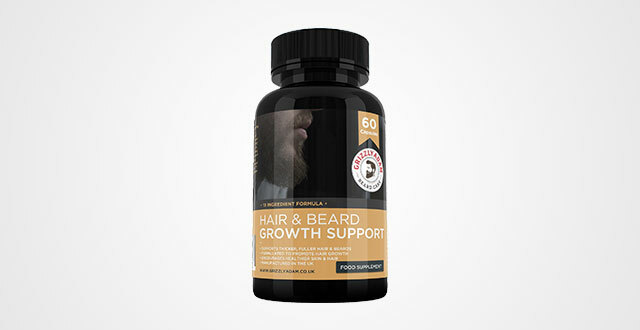 Beard Growth Support – Multivitamins – Grow Longer, Fuller, Thicker, Healthier Beard Hair. 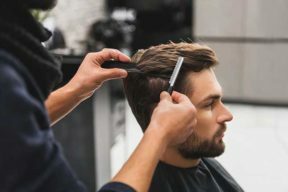 Although I don’t have problems with hair growth, I get in troubles with patchy areas. My beard is not fulfilled and my friends usually make fun of my beard. I decided to find out an effective product to make my beard a bit thicker and fuller. I found these vitamins, and they really worked. I noticed some differences when I groomed or trimmed my beard. 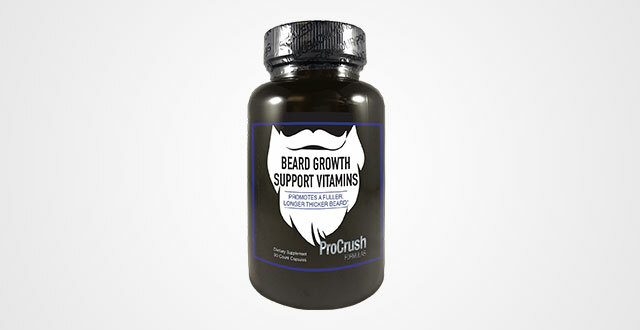 These beard growth support vitamins have a special formula to support the beard to grow naturally. 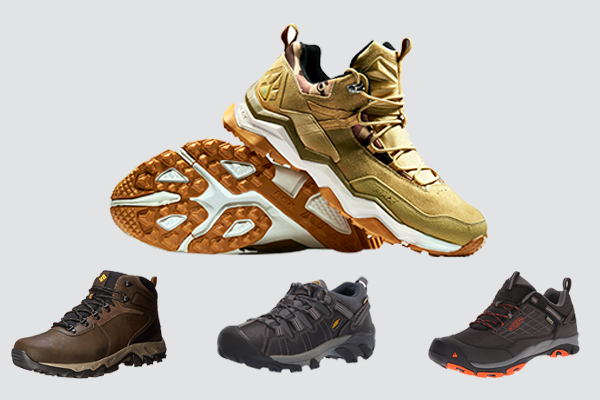 Furthermore, they also deal with the patch spots by providing all the necessary minerals and vitamins. Your facial hairs cannot achieve the overall health, if you do give them what they need. Apart from filling in the patches and stimulating the hair growth, these vitamins also have the ability of moisturizing and softening your skin to leave you a smooth skin. The beard is nourished deep inside, so it will become much stronger. This hair growth supplement is made from Gelatin, rice flour powder, wheat germ powder, coleus forshohlii extract, horsetail powder, caralluma powder, green coffee bean, garcini cambogia, and extract magnesium stearate. These ingredients support us to have a manly beard. 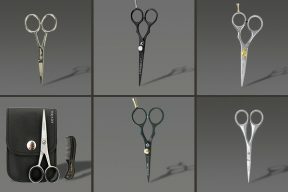 Beard Farmer is one of the most reputable brands on the market with a lot of effective product. 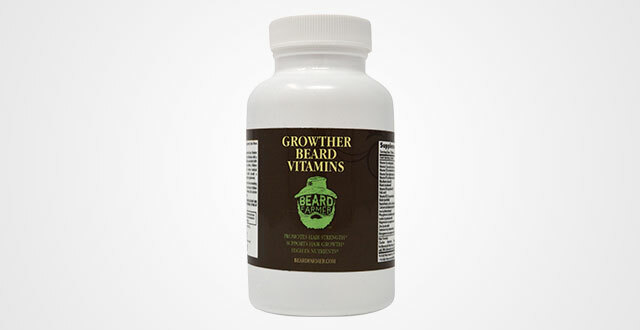 Growther beard vitamins by the Beard Farmer can be an example. These vitamins are good for both beard and body. They are the combination of multivitamin to nourish and feed the hair, skin and follicle. These vitamins will help you achieve the potential beauty of your beard. I’m sure that these vitamins are safe because I did not see any side effects while using them. Like all vitamins that I recommended, they also support you to have a thicker, longer and fuller beard and mustache in a very short period of time. You do not need to wait for the result, because you can see the improvement quickly. Because these vitamins provide nutrients to nourish your beard, so it will become more manageable and smoother. These vitamins consist of Choline Bitartrate, betaine hydrochloride, citrus bioflavonoids, inositol, RNA, PABA and Rutin. The first ingredients are used for the healthy cell membranes, while betaine hydrochloride enables to stop facial hair loss and Inositol have to work with choline to reserve the beard loss. Besides, Citrus Bioflavonoids can improve the vascular health. PABA takes the responsibility of maintaining the natural beard color. RNA provides you a health beard root and Rutin can strengthen your beard growth. There is a tip that when you take these vitamins, you should take them with milk or smooth drink because the tablets have a very strong smell. 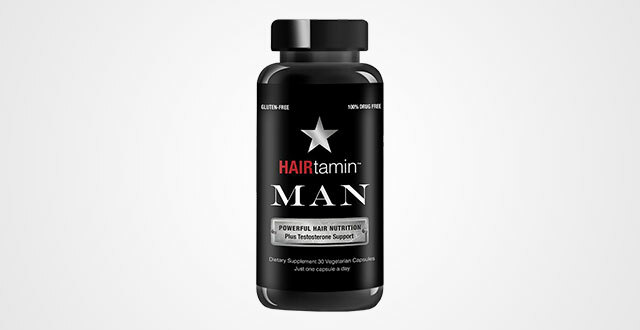 The last awesome daily vitamins that you should pick up are HAIRtamin man hair growth vitamins. These vitamins will bring you the benefits after 60 days using. I saw that they could help reduce the beard loss and improve the beard health much. You can get many benefits from these vitamins such as achieving a stronger, thicker and fuller beard. They are made to help men’s beard growth. Your beard will grow faster and healthier. Furthermore, these vitamins are good for removing beard-ruff and work effectively with all kinds of beard. The ingredients of these vitamins are the blend of potent extracts such as Green tea, resveratrol, aloe Vera, and turmeric. These ingredients help to block the negative effects of DHT which is a substance caused beard loss. Aside with these ingredients, the HAIRtamin’s product consist of some other additional ingredients like Rosemary and stinging Nettle to make sure for a long-term health of our beard. Last but not least, a healthy beard can’t come true if your diet is lack of nutritious food that helps to boost hair growth. It is clearly that vitamins can help to solve almost beard issues. 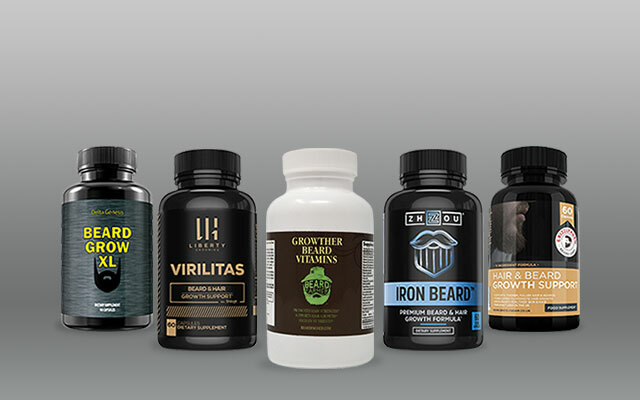 All these best beard vitamins have safe ingredients and tackle well with hair loss and beard loss. I chose these products because they meet my requirement in terms of fast result, safe ingredients and great performance.